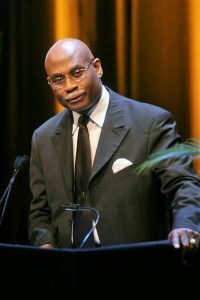 The Caribbean Tourism Organization (CTO) will present its “Distinguished Caribbean Citizen Award” to Gilman Figaro, founder and chairman of the SUNSHINE Awards, for promoting the Caribbean’s culture around the globe by gripping audiences with exciting and entertaining art forms, including dance, music and poetry. Figaro will be honoured during the Caribbean Tourism Industry Awards programme which recognises excellence in promoting the Caribbean and honours individuals whose outstanding, passionate and dedicated work has contributed to the development of the region. The esteemed awards dinner takes place on Thursday, 6 June, during Caribbean Week New York, when the Big Apple is captivated with Caribbean flair, pulsating energy and colourful sounds. Figaro was born in Trinidad and migrated to the United States two years after graduating high school. His determination to enhance the integrity and global awareness of Caribbean art forms led him to create the SUNSHINE Awards. This organisation recognises excellence in the performing arts, education, science and sports of the various Caribbean countries. Always placing a great emphasis on education, Figaro established the SUNSHINE Awards Student Recognition Programme which, annually, recognises and applauds the scholastic achievements of the top students from selected Caribbean island. Figaro also co-authored “Song for Montserrat“, which brought together an ensemble of 119 top performing artistes from across the Caribbean in a fundraising concert for families in Montserrat who had lost their homes during the volcanic eruption of 1995. Figaro also scripted and composed the First Annual Indo-Caribbean Music Awards for Jamaica Me Crazy Records for which he adopted a format comparable to the Grammy Awards. He produced and penned the Brooklyn Center for the Performing Arts at Brooklyn College’s First Annual Steelband Festival titled “The Pride of the Caribbean,” leading Figaro to subsequently create four shows for well-known pianists, as well as other successful musical endeavours. Driven by his passion for the Caribbean and its art forms, Figaro has received multiple awards highlighting his dedication to the performing arts, music and Caribbean communities.